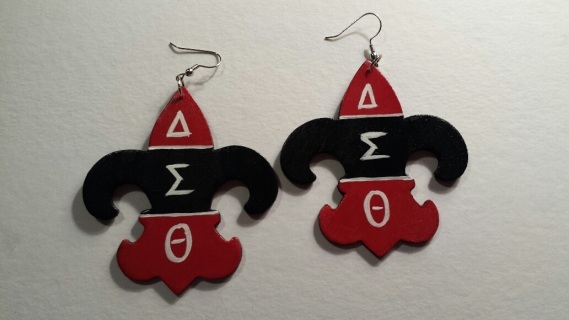 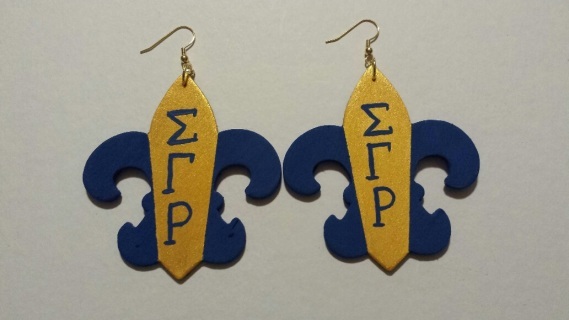 Hand painted wood fleur-de-lis. Approx. 3" long. 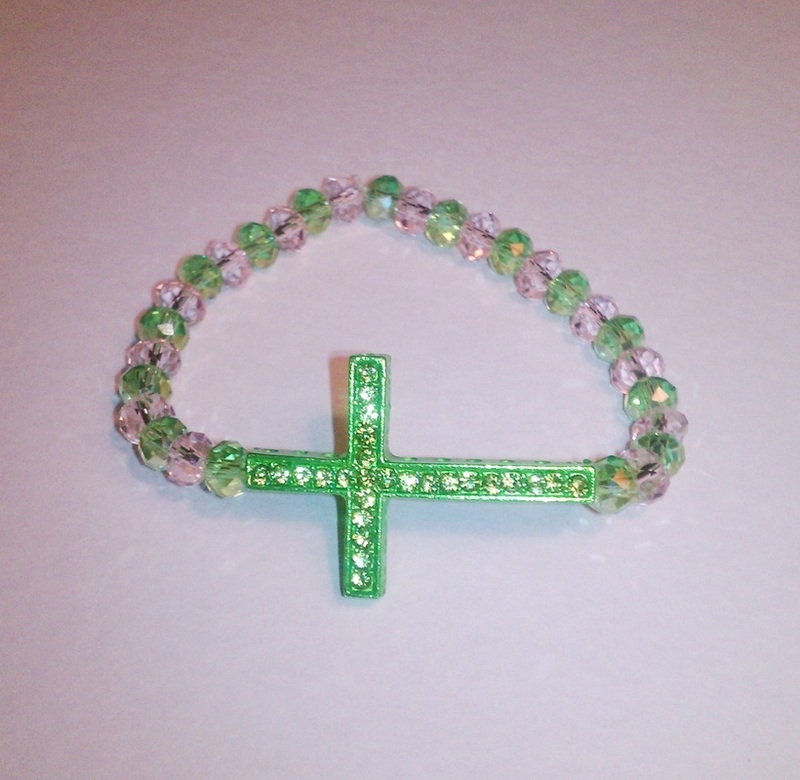 Pink and green crystal beads with green cross. 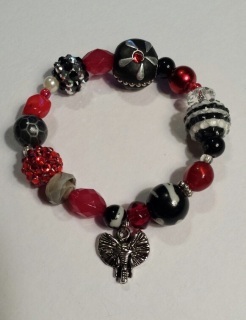 Custom items may be added. 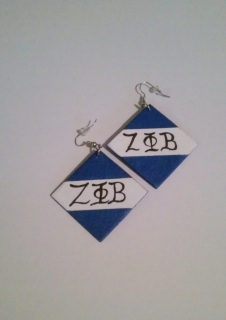 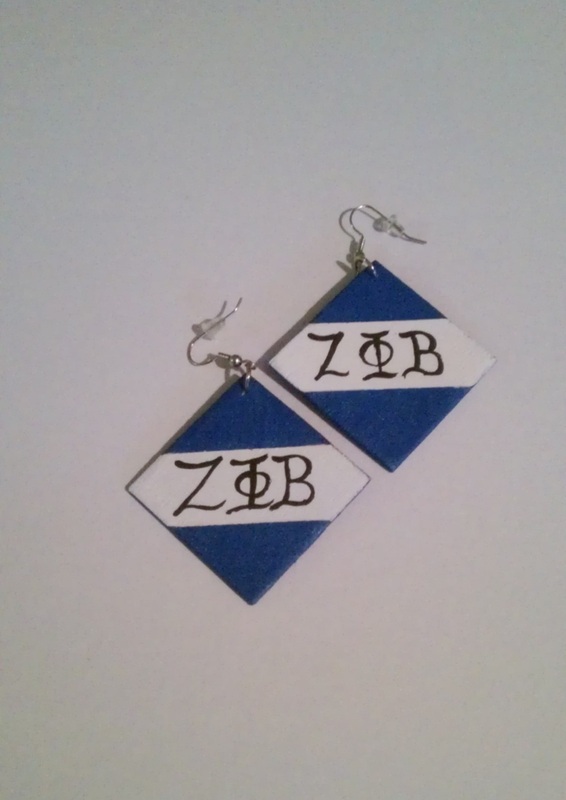 Click on Contact Us to place a custom order. 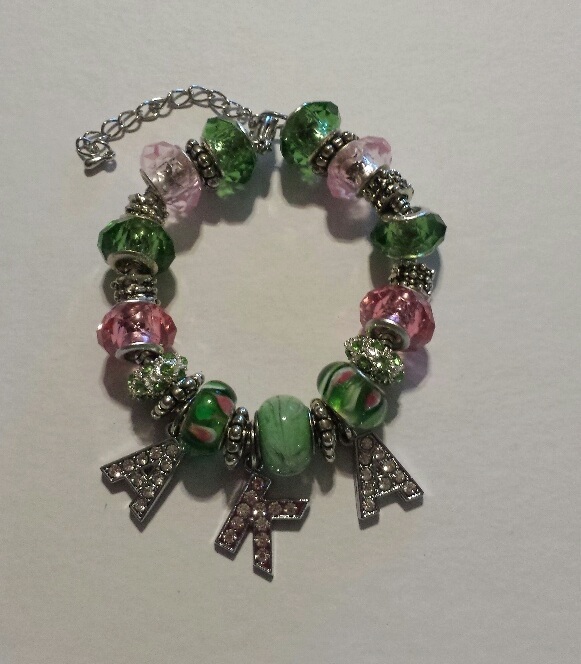 Pink and green beads w/ AKA rhinestone letters. Extender attached so bracelet fits most. 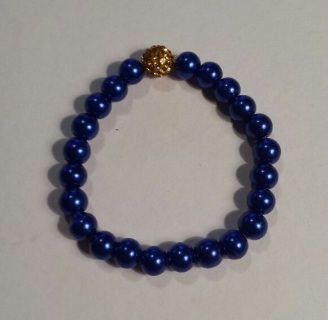 Custom items may be added. 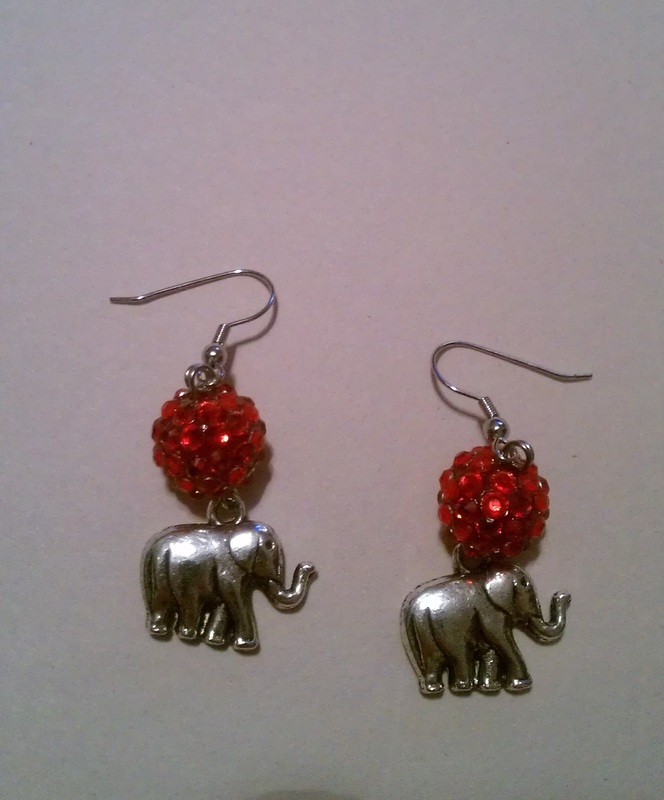 Click on Contact Us to place a custom order. 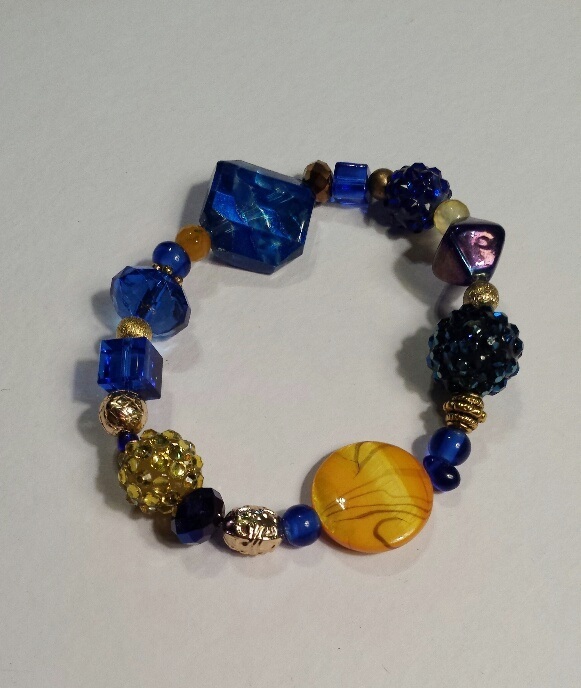 Us to place a custom order. 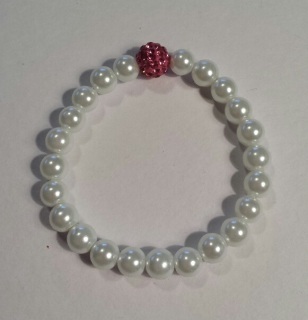 White pearls w/ pink accent bead. 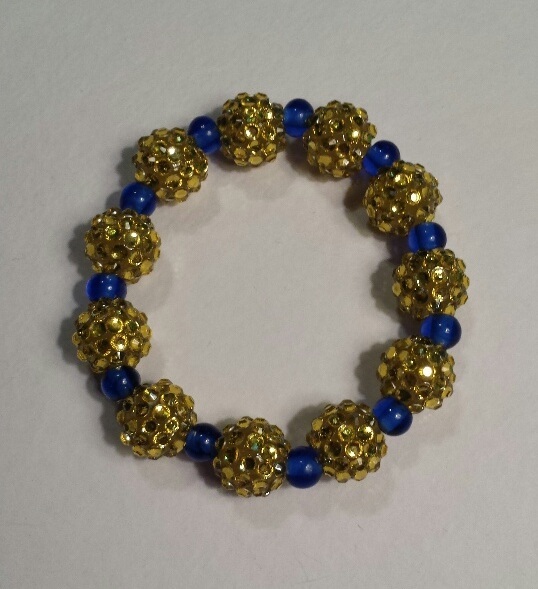 Accent bead also available in green. 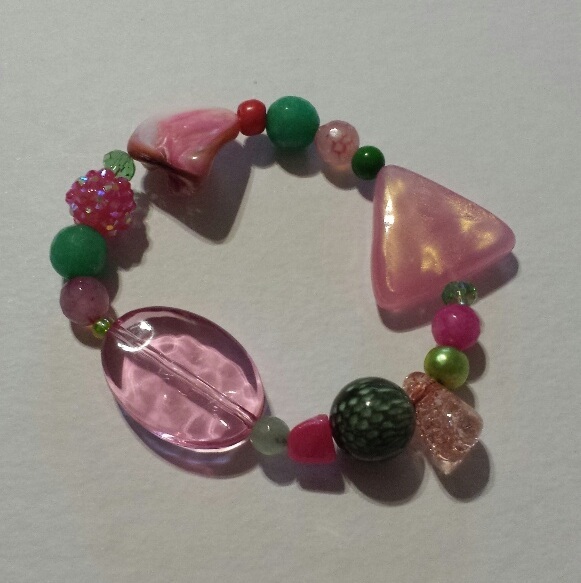 Stretch bracelet fits most. 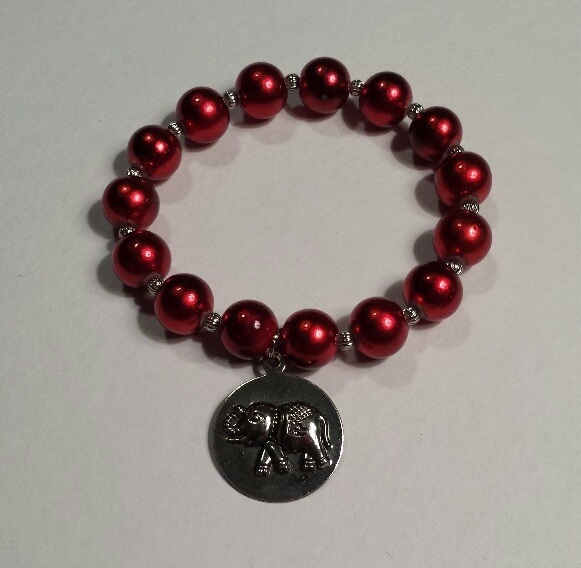 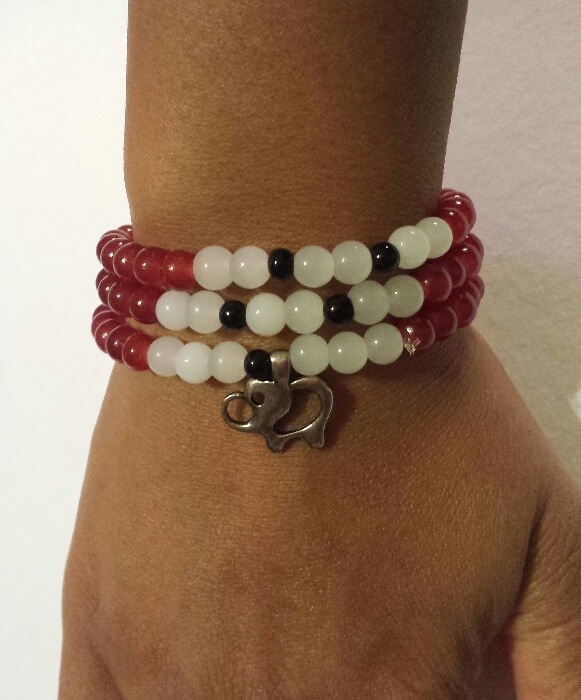 Stretch bracelet w/ elephant charm. 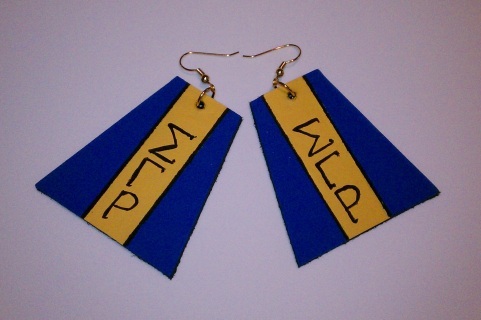 Custom items may be added. 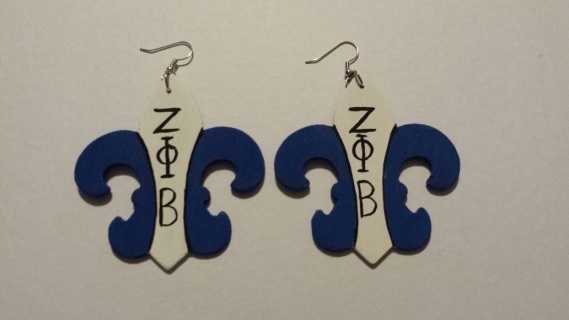 Click on Contact Us to place a custom order. 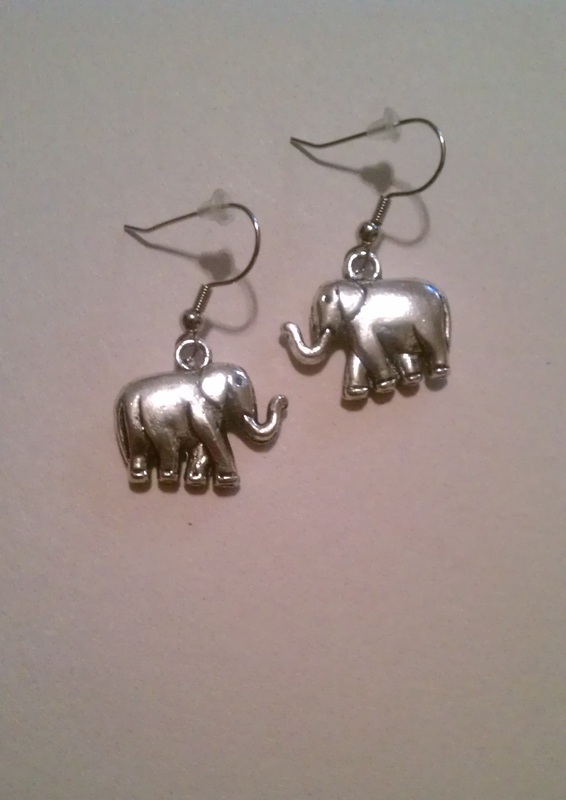 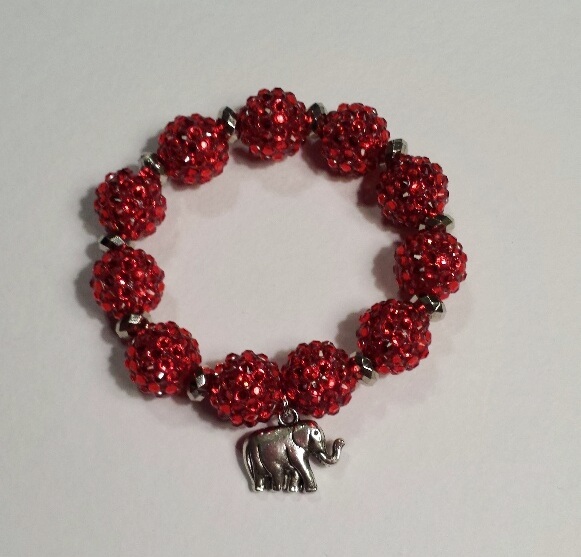 Stretch bracelet w/ elephant charm. 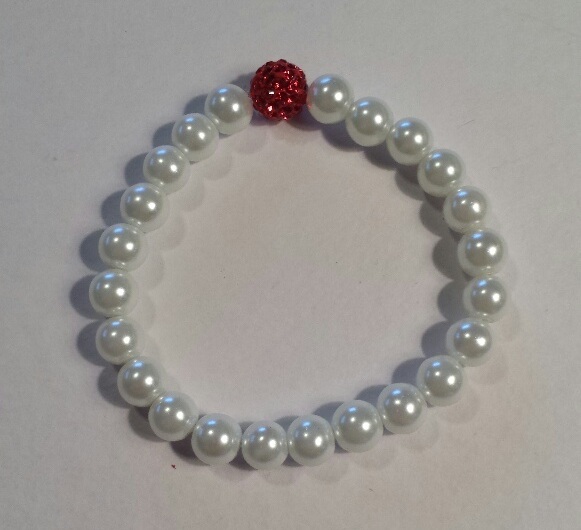 White pearls w/ red accent bead. Stretch bracelet fits most. 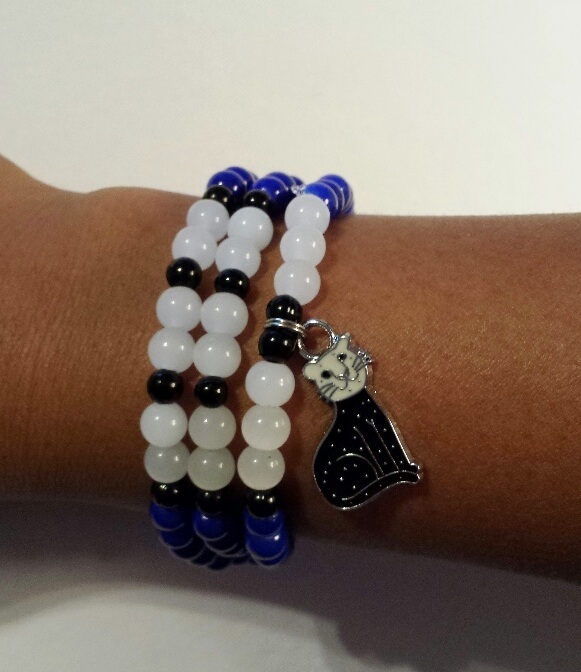 Stretch wrap bracelet w/ cat charm. 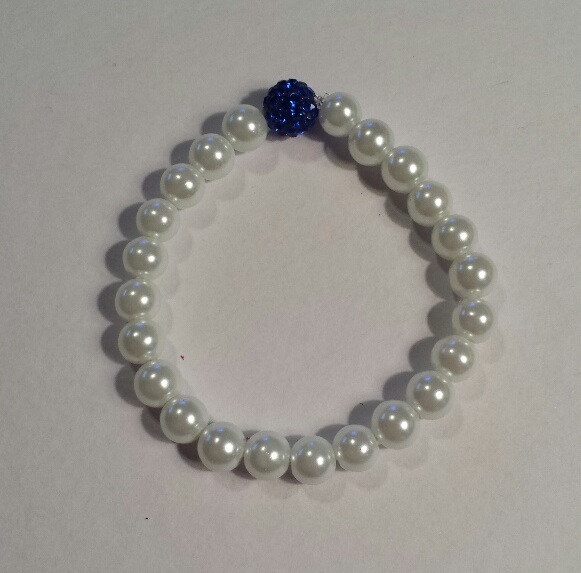 Blue pearls w/ gold accent bead. Stretch bracelet fits most.